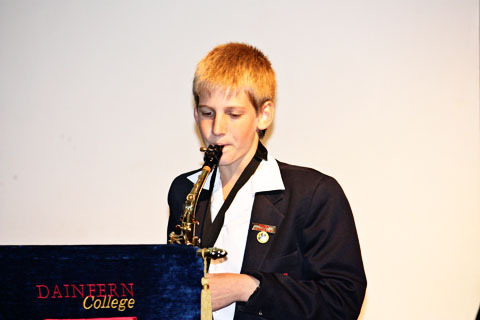 One thing I particularly love about our school, Dainfern College, is its music department. There aren’t enough words to describe how much energy and joy it has brought into our lives, thanks mainly to our indomitable and loving head of music, Patti van der Plog. If there is one teacher who can change your kids’ lives, she is the one. 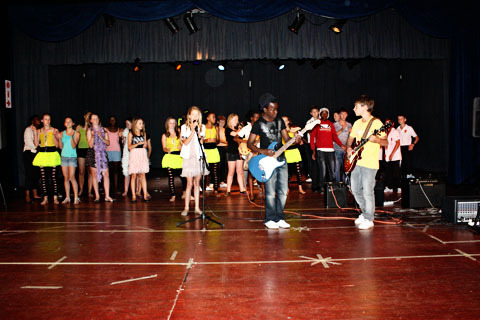 Music permeates everything going on at school, from singing the national anthem at morning assemblies to the hosting of national competitions such as the recently held Eistedfodd. 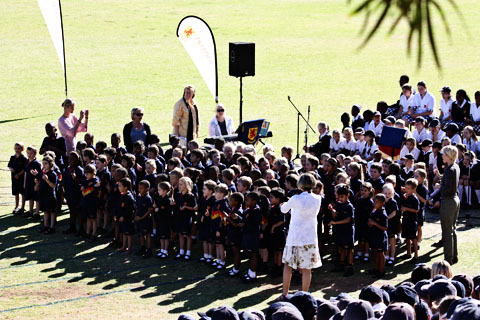 For the most part, it has been the kids who were touched by all this – Impatience with her singing, piano, and flute, Sunshine with piano and voice as well as playing the marimbas, and Jabulani with the saxophone (in between arm operations, that is). By the way, I should mention here that the Dainfern College music department is very much open to the public for after-school lessons, as well as possibly an open choir and orchestra next year. Sometime this year, music started creeping into my life, too. Inspired by all the notes wafting through our house, I signed up for my very own piano lessons. The piano, you see, is what I always wanted to play. However, I grew up with an older brother who played the piano, so my mother, as mothers tend to do (I don’t claim to be immune myself) deigned it best that I play the violin, so as to make for nice trio performances at rehearsals (together with my other brother, who played the cello). Now that I’m grown up, I get to decide such matters all by myself. And I absolutely love playing the piano, uninhibited (or so I thought). Nothing quite matches how you can relax and feel energized at the same time after you’ve practiced, and the glorious feeling you get when you’ve mastered a piece that only weeks ago seemed absolutely impossible, because our hands don’t naturally want to do two different things. It’s your mind conquering your body, in a way. There I was, totally enjoying myself with no one telling me when I needed to practice, the whole enterprise of my own volition, when what do you think reared its ugly head to ambush me out of the blue? A rehearsal! I cannot tell you how much I hated rehearsals as a kid. The mounting dread weeks ahead, the sweaty palms, the hated fancy clothes I had to don for the occasion, the chatter of the assembled guests before the performance, followed by a hushed silence, the jittery nerves prompting you to inevitably make a mistake, the praise afterwards by all the elderly (in my child’s eye) ladies I was made to shake hands with by my mom. I had vowed to never again in my life be bullied into a rehearsal. 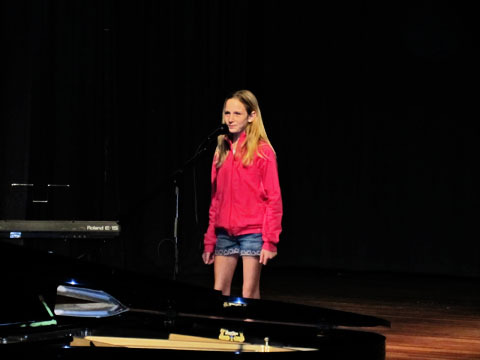 But what could I do when the piano teacher invited me to perform at the music festival? Tell my kids that yes, it is important to overcome our fears and perform in front of others, and then chicken out when it was my turn? Plus, I was led to believe it was a performance among just a few adult beginners. Oh what a clever way to lure me in. 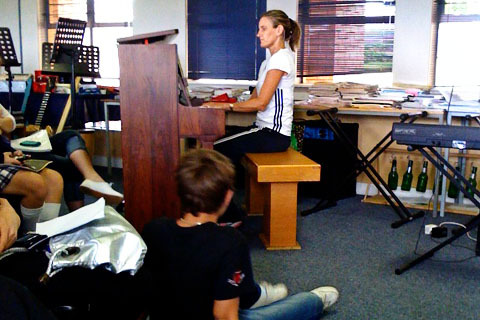 So I show up and find myself in a room full of high school students, all showing off their years of piano expertise with Chopin and Beethoven in front of a couple of judges. I would have bolted, had my well-meaning friends (who were there for their kids of course, not performing themselves) not already spotted me and waved me over to an open seat. I could do nothing but sit there and try to calm the butterflies in my stomach while everyone else had their turn. I was last, of course! Needless to say, I of course survived and as always it seemed much more benign in hindsight than beforehand. And what do you know? 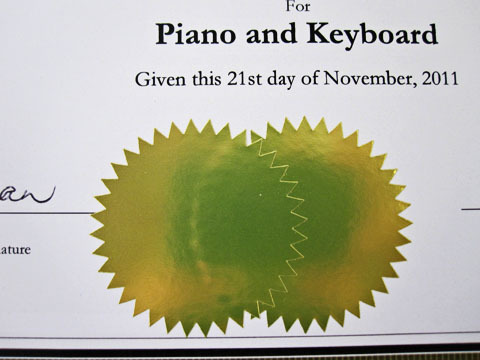 I received a rare double gold certificate for my efforts that day, which I can now proudly hang on the fridge. And my mother, were she still alive, would be pleased to know that I’ve signed up for violin lessons next year, trying to pick up where I left off about 28 years ago. Now I just have to get me and my brothers together and her vision of us playing trios might yet survive, if just a tad late. Previous PostPrevious Do I Write or Do I Draw?